Whether you’re a new or experienced Aussie gambler, the online casino world can be an entirely different experience. This is why so many Australian players are worried about trying online casinos, because they have so many unanswered questions. 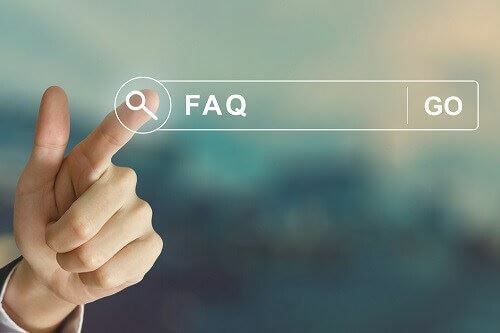 The team at Casino Aus decided it would be helpful if we compiled all the most frequently asked questions (FAQs) related to online casinos and put them all in one place for our readers. If you have ever wanted a question answered, be sure to check our FAQs below. How can I be sure an online casino is safe to play at? How do you know the games are fair and not rigged? Where can problem gamblers get help? What types of casino games can I find online in Australia? How much money could I win online? What is a progressive jackpot game? Is there any way to increase my chance of winning a progressive jackpot? What games should I play to have the best chances of winning? What does the term ‘payout percentage’ mean? Do online casino really pay out more than land-based casinos? I’ve heard about Live Dealer games, what are they? What are the benefits of gambling online in Australia? Will I have to download casino software onto my computer? If I have an Apple device, can I still gamble online? Can I play from a mobile device, like my phone or tablet? What do I need to get started with online casinos? How does registering my online casino account work? How do I deposit money into my casino account? When I win, how can I get my winnings? How long does it take for the casino to pay out? Can I play casino games for free online? What’s the point of playing for free? What other bonuses do casinos offer? This question used to be a lot easier to answer. Not so long ago, it was legal for Aussie citizens to gamble online, but it was not legal for online casinos to be based in Australia. These days, it is a little more complicated. Recent law changes mean that gambling online is still legal, but the online casino needs to have been licensed by the appropriate parties within Australia. Players always need to check to make sure the casino is properly licensed and regulated. You can do this by checking reviews, or the casino website itself. Any casino recommended by Casino Aus has been properly vetted, and we know it is safe. We’ll also tell you if the casino website is regularly tested by third-parties like eCOGRA. These companies test the games and make sure the odds are what they should be. There really is no way to know for sure when you are playing. The only way to be certain is to make sure you’ve done your research and have signed up at an online casino that is properly licensed and regularly audited by eCOGRA, or similar testing companies. A rogue casino is one that should be avoided by Aussie gamblers. Casinos acquire the title of rogue by engaging in undesirable behaviour. This can be poor customer service, not paying out winnings, rigging games, and so on. These casinos should be avoided at all costs, which shouldn’t be hard with so many great casino sites out there. While most players treat gambling as a bit of fun, there are those who get addicted, and it can seriously harm their lives. There is plenty of help out there for those suffering from problem gambling, so be sure to seek help from the appropriate sources if you, or someone you know, has developed a gambling addiction. When gambling at an online casino in Australia, the choices of games is almost endless. Players will be able to find hundreds of online pokie machines, as well as all of their favourite table games. These include Roulette, Blackjack, Baccarat, Craps, Pai Gow, Poker, and more. Players will even be able to find Scratch Cards, Bingo, and Keno online. Some games could see you win a few thousand dollars when you land the jackpot, while others could have a multi-million-dollar jackpot. It all depends on what you’re playing and how much you’re willing to risk. Just keep in mind, these are all games of chance. There is no guarantee at all that you’ll land a big win. Progressive jackpot games are the games that offer million dollar jackpots. Typically, these are online pokies, but there are some table games with progressive jackpots. They work by linking together hundreds or even thousands of games, sometimes across different casinos. Every time a player makes a bet, a portion of this is transferred to the jackpot. It keeps growing until someone really lucky manages to win. Unfortunately, there is not. The results are completely random and there is no way to improve your chances. Studies have shown that a progressive jackpot is won about as often as a lottery jackpot. Just make sure you read the rules. Many progressives require the player to bet the maximum amount to be eligible for the full jackpot. The last thing you want is to hit the jackpot but not win the full thing because you didn’t know you had to bet the max. This is a question that many people ask, and many argue about. While online pokies are perhaps the most popular games, we’d recommend you stay away from these. There is no skill involved and is purely based on luck. They also have the highest house edge. Perhaps your two best options are Roulette or Blackjack. When playing Roulette, if you bet on red/black, odd/even etc., you have a near 50-50 chance of winning on each spin. While the wins won’t be big, they should be consistent. Blackjack, on the other hand, allows a player’s skill to influence the game and help them to overcome the house edge. If you’re good at Blackjack, you should be able to win a good amount of money. When we talk about a casino’s payout percentage, we’re referring to the amount of money they pay out to players, compared to the amount of money they receive. This is normally given as a percentage. So, if a particular casino has a payout percentage of 95%, it means that for every AU$100 wagered at the casino, AU$95 is paid back to players in winnings. Keep in mind though; this is worked out over thousands and thousands of bets. It does not mean that if you bet $100, you’ll leave with $95. You could lose it all or win big. Yes, they do, and it’s easy to see why. All land-based casinos have much higher operating costs. They have to build/buy and maintain the property, pay for water and lights, pay staff, and buy all the required equipment. Online casinos, on the other hand, don’t have to worry about most of those costs. They’ll need to pay for servers, some staff, and licence the games but this means it costs significantly less to set up and run an online gambling site. Because of this, the payout percentages can be much higher at casino sites. The gambler’s fallacy is a dangerous way of thinking that could cause players to lose money when playing casino games. In essence, it is the belief that previous results can influence future results in a random game of chance. The best example of this is in Roulette; we’ll use European Roulette for this example. If you’ve been playing and the ball has landed on red for the last five spins or so, surely that means there’s a higher chance of it landing on black on the next spin, right? Wrong, every time the wheel is spun, there’s a 48.6% it will land on red, a 48.6% chance it will land on Black, and a 2.8% chance of green. These odds don’t change, just because red came up the last few spins. Live dealer casino games are a great way to add a human element to online casino gambling. They work by having a real human dealer operate a table, with real casino equipment. A video of the dealer is then live streamed to players. Players can wager on the game, just as they would when playing an online version, and can even chat with the dealer. These games are great for players who don’t fully trust the random number generators used in online casino games. There are many benefits to using an online casino for Aussie players. For starters, it’s a lot more convenient as players can play whenever they want from home, without having to drive to their nearest casino. On top of this, the payouts tend to be much better at online casinos. Finally, there are more games available, as there are no physical space limits online, and you’ll never have to wait for another player to stop playing at the pokie you want to play, or give up their seat at a table game. This depends on the casino you have chosen. Most will give the player the choice of downloading the software or playing through their web browser. However, some casino sites may be download-only, or instant play only. Yes, you will be able to. A few years ago, when you had to download software, Apple users couldn’t really enjoy online casinos. With so many instant play casinos available today, Apple users are no longer left out. Mobile casinos are perhaps the biggest revolution in the casino world since casinos first became available on the web. Any online casino that really wants to do well needs to have a mobile offering. As long as you have an Internet-connected smartphone or tablet, you’ll be able to enjoy casino games at your chosen mobile casino. The first steps on your journey into the world of online casinos in Australia are really easy. All a player needs is an internet connection and a device to play on. This could be their home computer, laptop, smartphone or tablet. That’s it, that’s all you need to get started. Registration is really easy as well. Once you’ve read reviews and done your research, choose the online casino you want to play at. Go to their website, and you’ll easily be able to find the option to register your account. Provide the details they require, and you’re done. It’s as simple as that. In order to win real money at an online casino, you’re going to need to deposit money into your account to gamble with. Top online casinos will have multiple deposit options under their banking section. Find one that works for you and make a deposit. Some of the options you should have available include credit or debit cards, e-Wallets, wire transfers, and even Bitcoin. Just like depositing funds, there will be several options to withdrawing your winnings. There typically aren’t as many withdrawal options, as not all deposit methods allow for withdrawals, but there should still be something that works for you. Just make sure you meet the minimum withdrawal requirements and have completed the wagering requirements, if you have accepted any bonuses. This depends on the withdrawal method you selected. Some will clear within a few days, while others will take longer. It also depends on the casino, as some casinos have a 24-hour wait period after you request a withdrawal, before the process even starts. Wagering requirements are the conditions a player accepts when they take a bonus. Online casinos give away hundreds, or even thousands, of dollars to players in bonus money. If players just claimed the bonus and withdrew it, online casinos would go bankrupt immediately. The wagering requirement states that, if you accept the bonus, you will wager it a set amount of times before you can cash it and any winnings out. Normally this is set to around 40x. So, if you accept a AU$100 bonus, you’ll have to wager $4000 before cashing it out. His sounds like a lot, but you’d be surprised how quickly you can meet these requirements. Withdrawal limits are restrictions on how much a player can withdraw from their account in a set amount of time. This is to ensure the casino always has enough money to payout requests in a timely fashion. Some withdrawal limits will be on a weekly basis, while others will be monthly. Progressive jackpot wins tend to be excluded from these, as it would then take years to withdraw your million-dollar jackpot, a few thousand dollars at a time. Yes, almost all online casinos allow Aussie gambler to play games for free. The games will play exactly the same as the real money version, with the same odds and rules. Free play often confuses people. If you’re playing for free, you can’t win any real money, so what is the point? Well, there are actually several benefits. New players can use free play to learn a game and understand it before risking real money wagers. More experienced players can use free play games to test a new betting strategy and make sure it works, before betting real money. Welcome bonuses are promotional offers used to attract new players to an online casino. These could see players get several thousand dollars in sign up bonus cash. To claim these bonuses, players will have to deposit money into their account, and the casino will give them the bonus money. These are normally spread over a set number of deposits, but casinos are free to set these up as they want. Yes, you can, provided you have met the wagering requirements. As long as you have completed this, you’ll be able to withdraw your bonus and any winnings you made while using it. Most online casinos offer plenty of other casino bonuses for players. These can be free spins offers, or deposit match bonuses for when existing players make more deposits. There are even no deposit bonuses, for new players, who can get some funds to play before they even make their first deposit. Generally, the legal gambling age in Australia is 18. So, as long as you’re 18 years, or older, you’ll be able to gamble online. We always recommend checking the laws in your area first though.